The rules of speakerphone etiquette have emerged with the gaining popularity of the speaker phone. 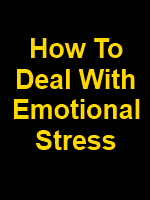 You will want to know how to harness the power of this technology to your advantage. Luckily, this can be done by following a few simple strategies. The first rule is announce to everyone who is participating on the phone call. This is good phone manners. I have been part of speakerphone meetings where the people on the phone were discussing someone that was on the phone with me. This is an awkward and embarrassing moment. This can easily be avoided by letting all parties know who is on the phone. It is just the polite thing to do. The next thing that is important is to make sure that you are not distracted doing something else at the same time. Most people will pick up on the fact that you are not fully paying attention to them. Even though you think you are being productive doing two things at once, the person on the other end will not share your opinion. They will think that they are not important enough for your full attention. This is extremely damaging in the business world. You cannot afford to make an impression like this. Show your good business telephone etiquette and focus on the phone call for the meeting. If you are on a business call and people are not familiar with each other's voices, it is important to let them know who is speaking. That way, you will be able to know who is making each statement. As the phone call progresses and you learn the voices of the participants, you will be able to skip this step. If you are using a speakerphone in public, make sure that you can go to a private area. Most people do not want to participate on your call. 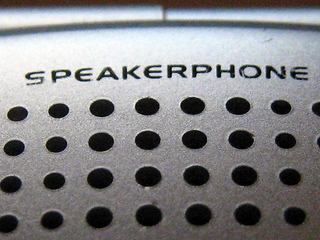 Proper speakerphone etiquette says that you should avoid the speakerphone in public. Speaker-phone etiquette can help you gain more acceptance in the eyes of your peers. Make sure that you follow these rules. When it comes to using the speakerphone, many of your telephone etiquette rules still apply.